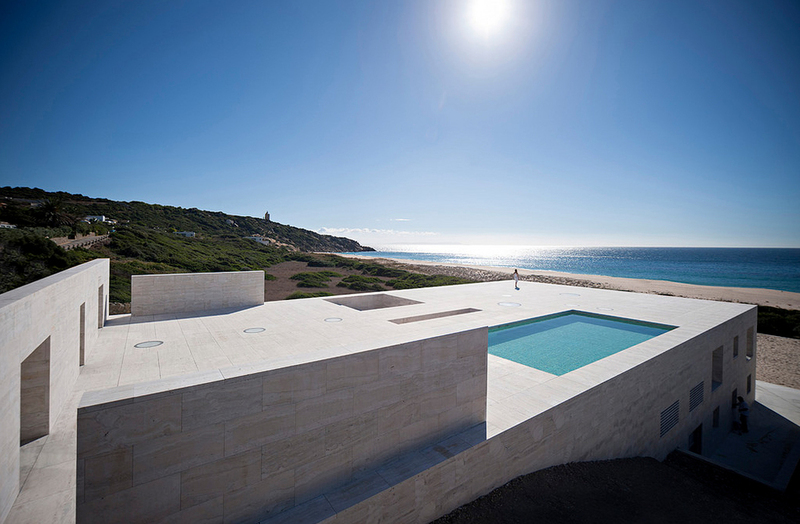 In Europe's southernmost point, Alberto Campo Baeza looks to further his legacy. 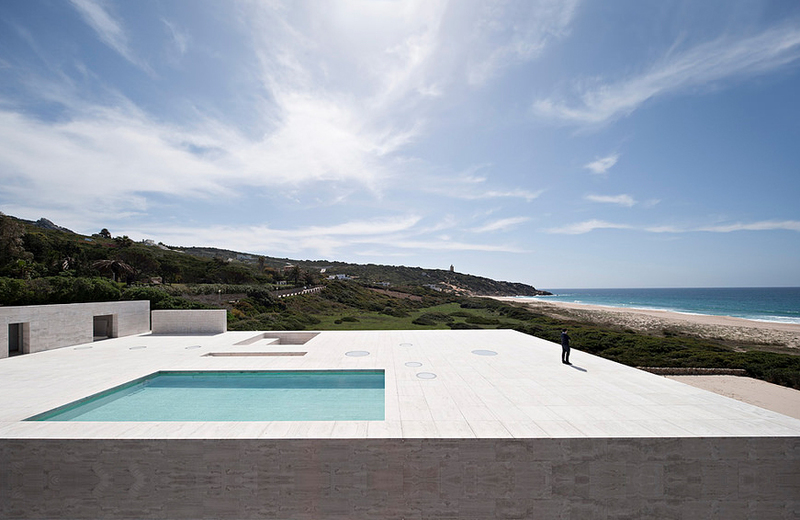 Architect Alberto Campo Baeza looked to the 17th for inspiration for his House of the Infinite. Bolonia, the ruins of the Roman fishing factories where they produced garum and built temples to their gods, is just a stone’s throw away. "In their honor we have built our house, like an acropolis in stone, in roman travertine." The architect explains. 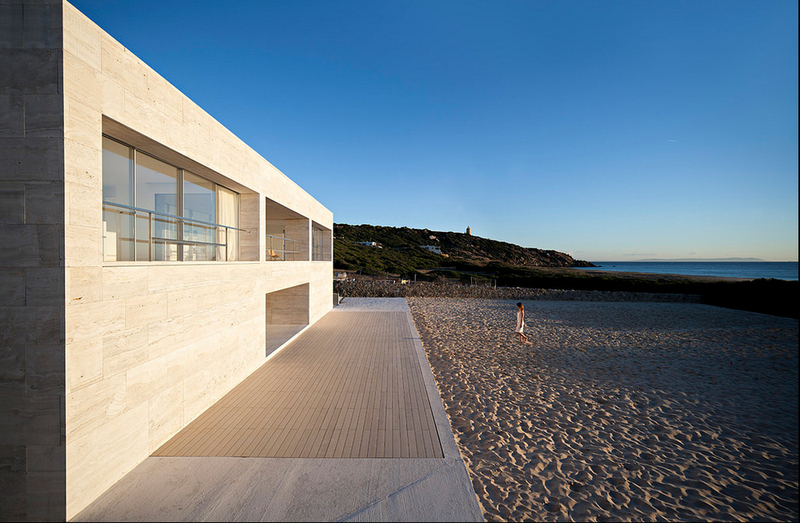 Even though Campo Baeza found inspiration in the local structures of the past, he boldly incorporated a modern aesthetic into this beachfront dwelling that stares into the vastness of the Atlantic Ocean. Alberto Campo Baeza's childhood home of Cádiz is an ancient city surround by the sea, where the densely populated city contains some of history's most admired plazas and buildings, such as the Cádiz Cathedral, which took an astonishing 116 years to finish. As the architects before him made their marks in history, Campo Baeza looks to make his mark on modern architectural history. 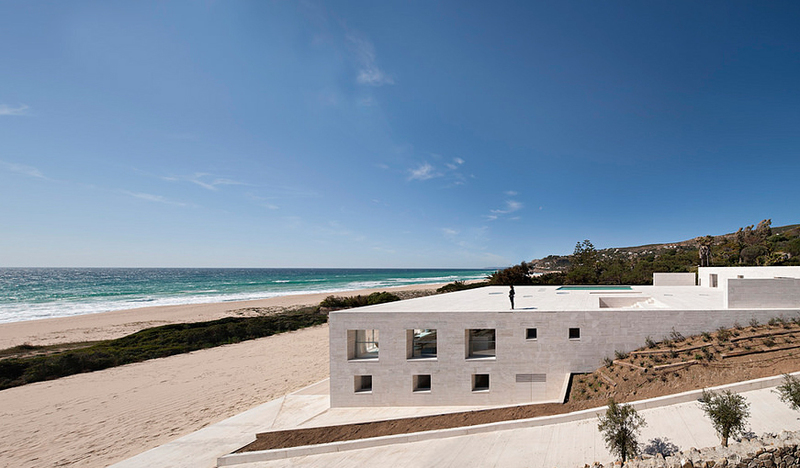 He recently returned to his hometown's --and Europe's-- southernmost point, Tarifa, Cádiz, to build today's House of the Infinite. Unlike his neo-classical or Isabelline gothic predecessors, Campo Baeza built the house with the mindset of "just enough." Too often are neo-modern structures over designed. Instead, Campo Baeza found inspiration for the stripped down and horizontal design from Rembrandt's 1655 etching, "Christ Presented Before the People." In the center of this etching stands a dais, whose border is a perfectly straight, perfectly horizontal line. "I am certain that Rembrandt and Mies would like our podium house, all podium, only podium." Says Campo Baeza. While history provided inspiration, Campo Baeza also kept minimalism in mind. Today's architects are continuously seeking effective and oftentimes grand solutions for the use of rooftops, and Casa Van Thillo is no exception. Want to do some laps or tan? Why, walk up the lumaquela limestone staircase to the open roof that features a lap pool and skylights. This vast roof provides the perfect balance of being modern, yet exotic. Even the staircase is unique because it is embedded within the limestone. Not even the strong Tarifa winds can wreck havoc on grills if they are nestled in the sunken staircase. As one descends that limestone staircase, they will enter a house that is 39 feet and two floors deep. The interior serves as another example that the 2010s will forever be defined by flat, minimalist designs. White glass functions as a barrier between those pesky winds while also allowing immense sunlight to reflect off the white walls and warm the occupants. The warmth is also provided by the house's color. From afar, House of the Infinite's horizontal design that protrudes out of the hillside appears menacing to the beachfront. However, Campo Baeza believed that for his building to have strength, the surrounding land needed to be incorporated. Lumaquela provides this, as the limestone is almost identical in color to the beach's sand. 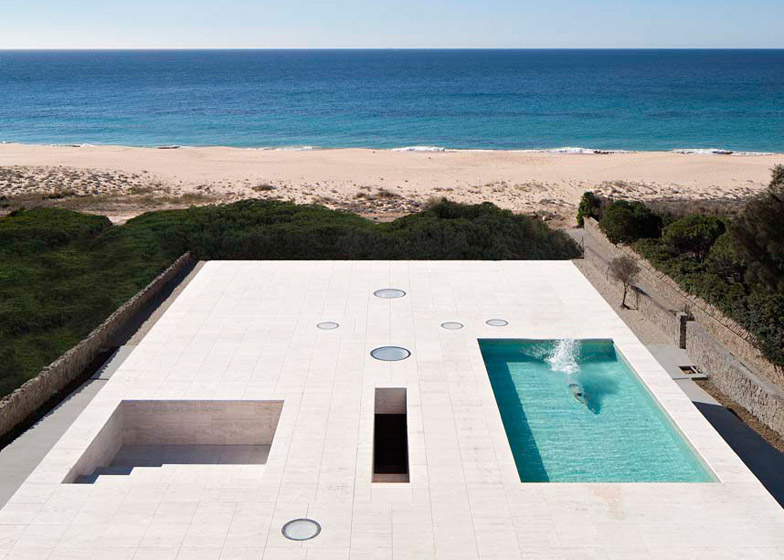 Architect Alberto Campo Baeza found inspiration for House of the Infinite from history. While he did borrow elements, he made sure to also incorporate modern trends to make the beachfront house unique. It is in Europe's southernmost point that one will lose themselves on top of a roof, staring into the vastness that is the Atlantic Ocean.